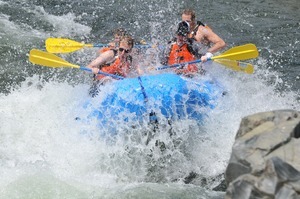 Whitewater Rafting - photo courtesy of Hot Shot Photos. There’s nothing like spending a whole day outside—and away from technology—on the first few warm days of spring! But sometimes it’s a challenge to find an activity that everyone will enjoy. We’re here to help. This list of 30 fun things to do outside is sure to please kids, parents and grandparents alike. Some may even make you grown-ups feel like kids all over again. You can try one or two activities each weekend all the way through summer; or take turns having each person in your family pick an outing for the whole family to experience. For a more spontaneous outcome, you can even write a few suggestions down on pieces of paper, drop them in a hat, and randomly pick an “activity of the day.” No matter what you do, we guarantee fresh-air fun! Go on a 45-minute bike ride around town. There are miles of trails through El Dorado County, which means there’s a lot of ground to cover and sights to see. A popular trail is the El Dorado Trail, which extends the entire length of El Dorado County from the western county line to the Lake Tahoe Basin. Some segments feature Class I bike paths, others are currently in development and open for use as a natural trail, or proposed for improvement. Cronan Ranch Trails Park in Pilot Hill contains 12 miles of terrain for biking as well. .
GET YOUR GEAR: Learn more about the El Dorado Trail at eldoradotrail.com. For bike gear and equipment in Placerville, head to Golden Spoke Bike Shop, Placerville Bike Shop; in El Dorado Hills, check out Town Center Bike + Tri. Register for a race and start training. No matter your skill level, there’s a race for you! For the experienced, long-distance runner, sign up for the American River 50M on April 5 or the Gold Rush 100K on May 10. For those looking to run their first race, check out Capital City Classic 5K/10K/10M on April 27 or Folsom’s 31st Annual Run with Nature (5K/10K trail run) on May 17. For group races, you’ve got the Credit Union Sactown 3-person Relay on April 6. Good runs for the kids include the ZooZoom 5K/10K and Kid’s Fun Runs on April 13. For the ladies, don’t miss Girls on the Run 5K on May 17. GET YOUR GEAR: Head to Gold Country Run + Sport in El Dorado Hills for all your running needs. This time last year, bass fishing was strong at Folsom Lake while the Sacramento River was a favorite for striped bass. Popular spots at the river include Bryte Beach, Minnow Hole and South River Road. In El Dorado County, American River (Silver Fork Riverton), Stumpy Meadows, American River South Fork Coloma, El Dorado Forebay, Kirkwood Lake, Consumnes River, Ice House Reservoir, Kirkwood Lake, Loon Lake and Union Valley Reservoir are all popular places to throw the pole in. California State Parks’ general regulations state that anyone 16 years and older must have a valid California fishing license in their immediate possession while fishing. The department’s website also details specific regulations for fishing limits. GET YOUR GEAR: Get a fishing rod and bait at Mosquito Creek Outfitters in Placerville. Apply for your fishing license online. Grow something you can eat. Looking to plant a garden, but aren’t sure where to start? Try tomatoes! With the class “Tomatoes: From Seed to Table,” sponsored by the UCCE Master Gardeners of El Dorado County, you’ll learn how to choose the right varieties, deal with insects and diseases, properly water, care for and harvest your tomatoes. The three-hour class starts at 9 a.m. on April 5. For more details, contact El Dorado Master Gardeners at 530-621-5512. GET YOUR GEAR: In Placerville, find all your gardening needs at Front Yard Nursery or Placerville Hardware. Take the family horseback riding. A fun activity for the whole family, horseback riding will get you outside and interacting with a beautiful animal; and with the help of experts and instructors, will make for one unforgettable day. 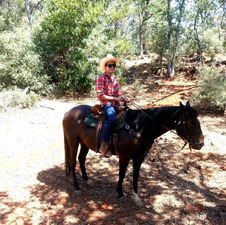 Stay local and ride along the numerous trails at the American River, Lake Natoma, Folsom Lake, Cronan Ranch Trails Park and the El Dorado Trail; or, for a weekend getaway, embark on a 2-3 day Trail Ride at Wild Horse Sanctuary near Shingletown. Attendees will be treated to horseback rides through pine- and oak-studded trails created by the wild horses before arriving at “Wild Horse Camp,” which features frontier-style sleeping cabins, a cookhouse, hot showers and more. Trust us, you’ll be craving the hearty cowboy barbecue dinner and country-style breakfast for years to come. GET YOUR GEAR: Shadow Glen Family Stables offers a 2-2.5 hour experience called the Wrangler’s Special, which includes learning how to groom and saddle for 30-45 minutes, and then hitting the trails on horseback. All riders must be 13 or older. Paradise Ranch Equestrian Center in Placerville is open year-round, has a covered arena and teaches lessons in Shingle Springs. Wild Horse Sanctuary in Shingletown has weekend Trail Rides through September. Coordinate a neighborhood sidewalk chalk art contest. With the help of fellow parents, bring the neighborhood kids together for this fun community project. 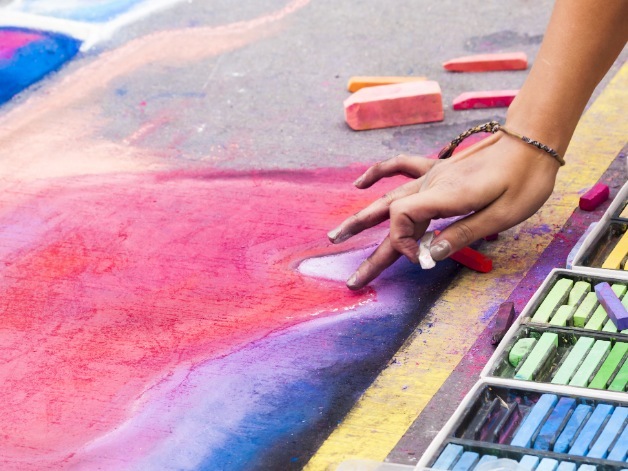 Assign participants a drawing space, give them a set of chalk, and let them tap into their creativity. Then, all the kids and parents can vote for the best and silliest drawings. Create various categories so multiple kids can win. GET YOUR GEAR: Stock up on chalk and prizes for the winners at Craft Castle in Cameron Park, or in Placerville, there’s Placerville News Company or Placerville Hardware. On a breezy day, head to the park with a kite. Ditch the video games, get off the couch and enjoy a day of running around the park. Once you get the kite in the air, test your skills with these challenges: how quickly can you get the flying line to a 45-degree angle from your hand? How long can you keep the kite in the air? Test your control by bringing the kite down without letting it touch the ground and then sending it back up in the air. 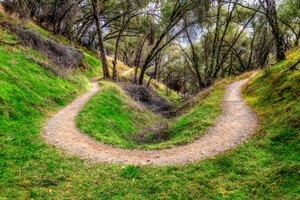 Check out the various parks in Placerville, Cameron Park, El Dorado Hills, etc. GET YOUR GEAR: Find your perfect kite at Cost Plus World Market in Folsom or Old City Kites in Sacramento, and then go flying at Lumsden Park (3144 Wiltse Road, Placerville), Benham Park (3071 Benham Street, Placerville), Christa McAuliffe Park (2400 Merrychase Drive, Cameron Park) or Rotary Park (3155 Clark Street, Placerville). Plan a “Family Field Day” at the park. Invite extended family or various family friends to participate. Organize teams and assign each one a color for uniforms. Then, each team can compete while playing classic relay games like Wheelbarrow Race, Dizzy Bat, Three-Legged Race, and Egg and Spoon Race. You can also play group games like Red Rover, Red Light Green Light, or Tag. GET YOUR GEAR: In Placerville, get party and game equipment as well as team prizes at Dollar Tree or Walmart. With easy access to three great water recreation areas, it’s not a challenge to find something to do in the water! And for whitewater rafting, the American River is the most popular place to be. The South Fork is action-packed and great for the whole family; the Middle Fork has more challenging rapids with miles of gorgeous scenery; and the North Fork offers thrills with spring run-offs as well as pristine beauty. GET YOUR GEAR: More than a dozen rafting outfitters are licensed to operate on the American River, and they each offer a variety of packages fit to your needs. American River Recreation (800-333-7238) has half-day trips starting at $79 and accepts last-minute reservations. Adventure Connection offers two-day family raft trips that include four meals and one night of camping; minimum age is 7. Spend an afternoon reading under a shady tree. Sounds pretty picturesque, doesn’t it? And even if you feel like life is too busy or hectic to spend a couple hours reading under a tree, it’s all the more reason to do it! Whether it’s a tree in your backyard or at a nearby park, a day with a good book is a day well spent. GET YOUR GEAR: Browse new and used books at these local bookstores: in Placerville—Bookery (530-626-6454), Placerville News Company, and Gothic Rose Antiques & Curiosities (530-295-0703); in El Dorado Hills—Face in a Book. 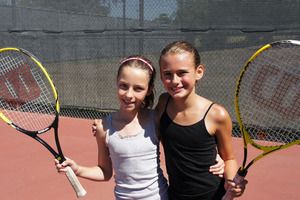 Grab a racquet and take to the tennis courts. If you’re looking to avoid another mundane gym workout, try your hand at tennis! You’ll get an amazing head-to-toe sweat session and have fun doing it. There’s so many perks to playing tennis: It’s both an aerobic (improves your cardiovascular health) and anaerobic workout (giving you short bursts of activity followed by rest, which helps muscles use oxygen efficiently); you’ll increase your speed, agility and body coordination as you move to hit the ball successfully; and it’s great exercise for those looking to cross train. GET YOUR GEAR: Big 5 Sporting Goods in Placerville sells tennis racquets and balls. Public tennis courts are open at Lions Park (3633 Cedar Ravine Road, Placerville), and the Hangtown Women’s Tennis Club (916-217-2110) welcomes all ladies of all levels interested in playing tennis to join their club. Experience the thrill of your life by going skydiving. Though this activity is geared more for extreme adrenaline junkies, it’s one adventure that should not be missed. It does take a whole day, so plan ahead and make a reservation with the skydiving school of your choice. If it’s your first jump, you’re required to jump tandem, where you’re connected to a harness attached to an instructor. You’ll spend the first part of the day in training, learning how to jump properly. Typically you have the option to do a 60-second free-fall (from 13,000 feet) or a 90-second free-fall (from 18,000 feet). Then, enjoy a 5-7 minute parachute ride back down to the ground. It’s also up to you to decide whether to get a video of your jump. This writer says you’ll regret it if you don’t—and she knows from experience. GET YOUR GEAR: Jumpsuits, harnesses and parachutes are all included in your skydiving package. We suggest researching online to find a school that makes you the most comfortable. Some local options include SkyDance SkyDiving in Davis or Skydive Sacramento at the Lincoln Regional Airport. You can also find discounted deals available on coupon sites such as Groupon and LivingSocial. Get those hips a-shakin’! What’s more fun than spinning a Hula-Hoop and seeing how long you can keep it moving without hitting the floor? Add in your family and friends and you’ll have one competitive contest. Another bonus—it’s a killer core workout! With a quick web search, you can even find easy and fun Hula-Hoop exercises. GET YOUR GEAR: Find the Hula-Hoop of your dreams at Walmart in Placerville or Target in El Dorado Hills. Use your barbecue and enjoy a tasty meal outside with family or friends. As the days get warmer, so do the nights. So why not spend an evening with fresh air under the night sky and away from the stuffy kitchen. From chicken kabobs and steak to hamburgers and hot dogs, there are plenty of options for a delicious barbecued meal. GET YOUR GEAR: If you’re looking to splurge on a new grill, check out Kamado grills—it’s a grill, smoker and oven all in one that’s quickly gaining popularity. Shop for grills at Home Depot in Placerville or California Backyard in Gold River. Get crafty with Mother Nature. As the saying goes, “April showers bring May flowers.” That means nature will be in full bloom shortly. On one sunny spring day, turn to your backyard for a scavenger hunt to find all the acorns, pinecones, twigs and leaves that you can use for crafts. Then, enjoy a nature-focused craft day with the kids. Check out the book Nature Crafts for Kids: 50 Fantastic Things to Make with Mother Nature’s Help by Gwen Diehn and Terry Krautwurst. GET YOUR GEAR: For your craft supplies, scour the aisles at Craft Castle in Cameron Park or Placerville News Company, 409 Main Street, Placerville, 530-622-4510. Nothing says beginning of summer like getting soaked or getting others super-soaked! A couple tips for a successful battle: Slightly squeeze the balloons as you throw them to make them pop faster when they hit your opponent. 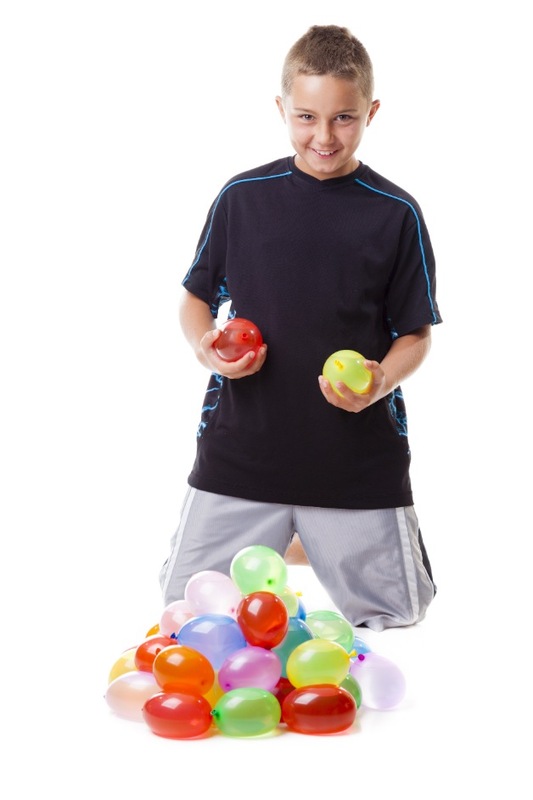 When trying to catch balloons, move your arms down with the movement of the balloon so as to cushion it in your hands. Keep your stash of balloons in a bucket that is filled 1/4 full with water—this will prevent balloons from popping in the bucket. GET YOUR GEAR: Find balloons at the local Target, Walmart, supermarket or drugstore. Play at any nearby park or yard. Play a round of golf on the green or on a mini-sized course. It’s been said that golf is a good walk spoiled, but we would guess those naysayers have never experienced the true competitiveness of the miniature game. It takes skill. And it’s crazy fun for the whole family, on a date night or with a group of friends. If you’re looking to take up golf seriously, be thrifty. It can be an expensive hobby when you buy a set of clubs, but various brands make quality sets for under $150. Then, sign up for lessons before you hit the full-sized course and be sure to practice at the driving range. GET YOUR GEAR: Play a round of mini golf at Monster Mini Golf in Rancho Cordova, Scandia Family Fun Center in Sacramento or Roseville’s Golfland-Sunsplash. Play the courses at Cold Springs Golf Course and Country Club in Placerville; in Camino, take a swing at Apple Mountain Golf Resort and Camino Heights Golf Course: in Rescue, head to Bass Lake Golf Course. 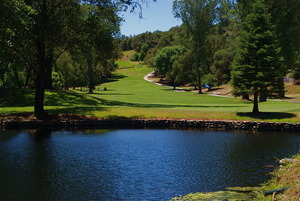 Pick up all your golf gear at Stixs Golf in Placerville (530-622-8264). 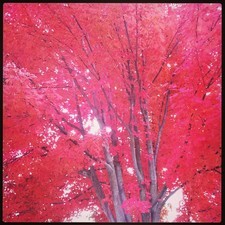 Capture the beauty of the outdoors. Truth be told, you don’t need to have the most expensive camera to take gorgeous photos. The majority of us have pretty decent cameras sitting in our pockets—yes, we’re talking about the camera on your smartphone! So while we are encouraging you to break away from technology, this activity wants you to embrace it. Any time you see beautiful flowers, a stunning sunset, or a breathtaking waterfall, capture it with your smartphone camera and make the moment last forever. GET YOUR GEAR: Upgrade to a smartphone (if you haven’t already), go to your app store and download one that allows you to print your photos. If your kiddos are looking to earn some cash to fund other spring and summer adventures, encourage them to start a lemonade stand. There’s nothing quite as rewarding as earning your own money. Sure, you may need to invest in their business plan by supplying the ingredients, but any parent knows it’s worth it. You may even want to use the same brilliant business strategy of the young California girl who uses her lemonade stand as a way to bring awareness to human slavery and trafficking. Through her donation website and the lemonade stand (where she originally charged $2, then left the price up to her customers), she’s raised $30,000 and is well on her way to reach her goal of $150,000. So whether it’s for profit or for fund-raising, a lemonade stand can be more successful than you think. 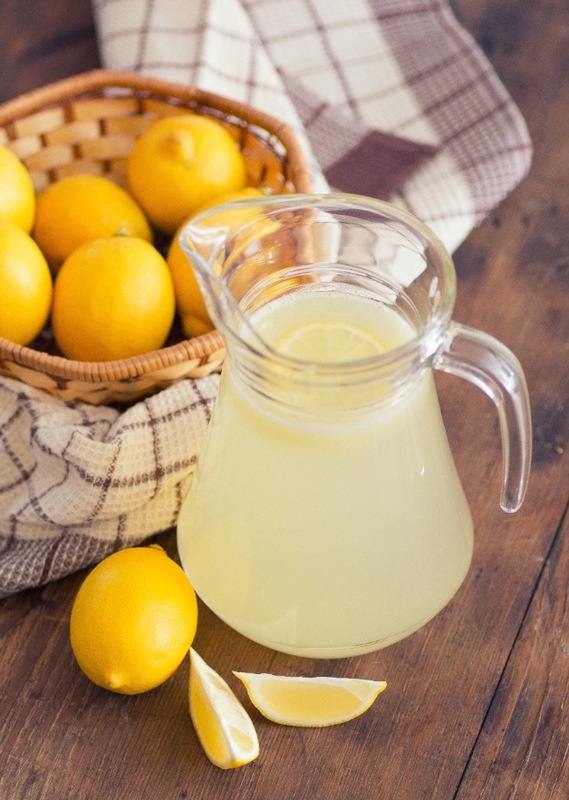 GET YOUR GEAR: Grab some fresh lemons at one of the local farmers’ markets. Then decide on the location for the stand—one where you know you’ll get a lot of foot traffic; after all, the more traffic, the higher potential for customers! Grab a basketball and play a game of HORSE. See who has the best skills on the court! Before you begin, decide the order of shooting. The first player will attempt to make a basket. If he/she is successful, every subsequent player must attempt to make a basket using the same technique, stance and location on the court. If a player fails to make the shot, he/she gets one of the five penalty letters: H, O, R, S, and E. The round continues as each player attempts the original shot. When the round is complete, the ball is passed to the next player in turn, who is allowed to shoot with a new technique, stance and location on the court. When a player has been assigned all five letters, he/she is eliminated. The game is played until all but one player has been eliminated, and therefore declared the winner. GET YOUR GEAR: In Placerville, play on public basketball courts at Benham Park (3071 Benham Street) or Orchard Hill Park (2355 Green Wing Lane). Pick up a basketball at Big 5 Sporting Goods in Placerville. Let your imagination go wild as you paint designs, animals, words, scenes and more on various-sized stones. To get started, you’ll need to clean the rocks with a small amount of dish detergent and water, scrubbing them with a sponge or old toothbrush to remove dirt. Sanitize the stones after washing and rinsing by adding a little bleach to a bucket of clean water. Then rinse again, and allow the stones to dry completely. Once the rocks are ready, you may want to prime any that are smooth, dark or rough and pitted. Use one to two coats of white or light-colored acrylic or craft paint. When the prime is dry, you can start painting the rocks any way you want. Then, protect and seal the paint with a varnish. Do this outside and you’ll worry less about the post-painting cleanup! GET YOUR GEAR: You can search for rocks in your own backyard or buy landscaping stones from the garden departments at local stores. Acrylic/craft paints and satin varnish are available at Chalk It Up in Diamond Springs (530-626-9999) or Craft Castle in Cameron Park. Though there are many regulations that must be obeyed when hunting, this is a great activity for some family bonding time. Before you go, check the California Department of Fish and Wildlife’s website for regulated hunting limits. A license is also required for any resident 16 years or older who takes (hunts) birds or mammals. Those under 16 can apply for a junior hunting license. GET YOUR GEAR: License applications are available at any license agency, a CDFW license sales office or online at dfg.ca.gov/licensing/hunting. For hunting equipment, head to Mosquito Creek Outfitters in Placerville. 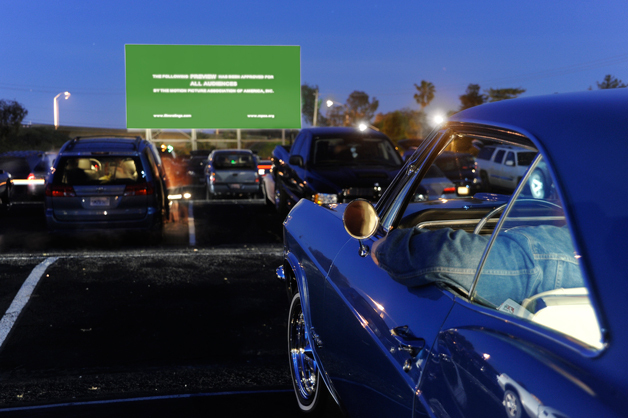 Head to the drive-in for an outdoor movie experience. Sure, dinner and a movie is a classic date night staple. But with one small venue change, you’ll make the night even more romantic. Just grab a blanket, a few snacks and beverages, and head over to West Wind Sacramento 6 Drive-In. You can snuggle with your honey in the backseat of your car or get cozy in the bed of your truck. The best part is you can even make it a double feature without paying for two movies! Admission is $7.25 per person and $1 for kids ages 5-11. On Tuesdays, admission is just $5 a person. And, on April 24, there will be free movies to celebrate Customer Appreciation Night. GET YOUR GEAR: Head to fandango.com or check out the local paper for movie times, then head to West Wind Sacramento 6 Drive-In for a fun movie experience any night of the week! Aren’t sure where to find live entertainment without cracking open your wallet and swiping the plastic? You’re in luck! Many of the outdoor street fairs kick off this month with plenty of live entertainment to keep you and the family happy without spending big bucks. GET YOUR GEAR: Swing by the weekly Placerville ArtWalk held every third Saturday from 5-9 p.m. where Main Street galleries and merchants host art shows and late night shopping, and live music and entertainment fill the streets. 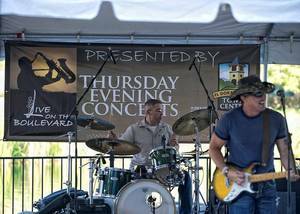 The El Dorado Hills Town Center’s Live on the Boulevard series will be kicking off soon, too (visit eldoradohillstowncenter.com for event updates). Take your workout outside with a group exercise class. As the weather improves, why should you spend another workout in a stuffy, sweaty, crowded gym? From boot camps and yoga in the park to running groups and Zumba, there’s something for everyone. With a little spontaneity, you’ll take your fitness to the next level by finding a new class that interests you. 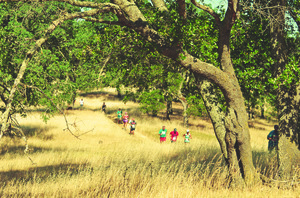 Fitness Solutions in Diamond Springs, for example, offers an outdoor bootcamp class every Saturday from 8:30-9:30 a.m., and the American River Conservancy hosts hikes, walks, and bike clinics and rides for all ages and fitness levels. GET YOUR GEAR: Shop for workout clothes at Gold Country Run + Sport in El Dorado Hills or Big 5 Sporting Goods in Placerville. Find more information on the outdoor cycle class at placervillefitness.com/classes/outdoor-cycle-class, check out American River Conservancy’s programs by calling 530-621-1224, or sign up for a class at the Cameron Park CSD, Placerville Recreation and Parks, or the El Dorado Hills Community Services District. Surprise your partner with a romantic picnic date. Grab a blanket, maybe some pillows, and of course, your picnic basket and make like Yogi Bear—he loved picnic season! Be sure to scout the perfect location ahead of time. Many local parks have great lawn areas specifically for picnics. If it’s a really warm day, make sure shady areas are available too. The menu might be hardest to plan, as there are so many directions you can go: cheeses, meats and finger foods; sandwiches, hors d’oeuvres and salads; or a picnic made entirely of desserts (tarts, macaroons, cookies, fruit, etc). The choice is yours. Your honey will be thrilled no matter what you decide. GET YOUR GEAR: In Placerville, find picnic baskets and other essentials at The Wine Smith or Placerville Hardware. 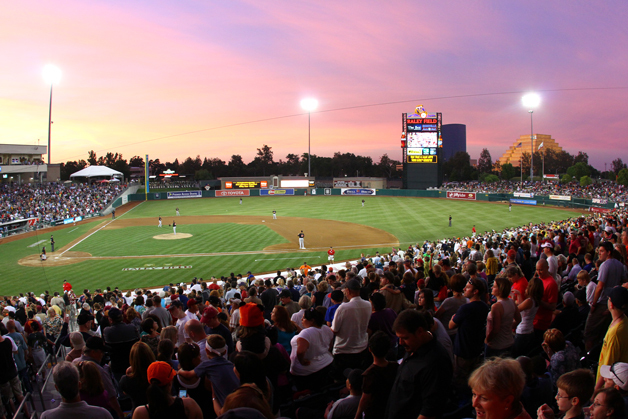 Go to a Sacramento River Cats game. The 2014 season kicks off on April 3, and tickets range from $9—in the Toyota Home Run Hill—to $62 in the Dugout Club. It’s the perfect outing to attend with your family, friends, colleagues or significant other. Most games offer fun promotions, such as firework shows, giveaways, art shows, or $1 hot dog and dessert Tuesdays. And remember, it’s root-root-root for the home team! GET YOUR GEAR: Purchase your tickets at rivercats.com or on game day at Raley Field in West Sacramento. Wake up early to see the sunrise. It may feel like a chore when your alarm goes off at 5 a.m., but once you’re enjoying the breathtaking view of a blue, purple and pink sky, sleep will be the last thing on your mind. Enjoy the sunrise alone for some quality time with yourself, or convince your family to tag along. It’s so peaceful and beautiful that everyone should experience it at least once. This time of year, the sun typically rises in the 6 a.m. hour. And it’s going to be chilly out, so dress warm. If stressful thoughts enter your mind about what you have planned later in the day, acknowledge them and then push them aside. And try not to drink any coffee before you go—it will just make you antsy for the sun to rise faster. Instead, enjoy tea or hot chocolate. GET YOUR GEAR: Whether you go to your own backyard/balcony or head to a lookout point, you can enjoy the sunrise from almost anywhere that faces east. Popular local destinations include Folsom Lake campsites (Peninsula Campground, Beals Point Campground, and Avery’s Pond), as well as the Fair Oaks Bluffs off the American River. Make it a party for your kids or your family, where everyone can enjoy a night of scary stories, stargazing, camp song singing, and s’mores. Get everyone his/her own sleeping bags, and pad them with blankets or use an air mattress for extra cushioning. Research online to find scary (or not-so-scary) stories as well as fun songs to sing as a group. And don’t forget to grab plenty of snacks and all the s’mores ingredients. GET YOUR GEAR: Find sleeping bags, tents and more at Ed Arian’s Supply Sergeant in Placerville or Target in El Dorado Hills. Never heard of it? No biggie. It’s a real-world treasure hunt that’s happening everywhere around you. According to geocaching.com, there are 2.3 million active geocaches and more than six million geocachers worldwide. With numbers like that, there are likely to be some geocaches right in your neighborhood. 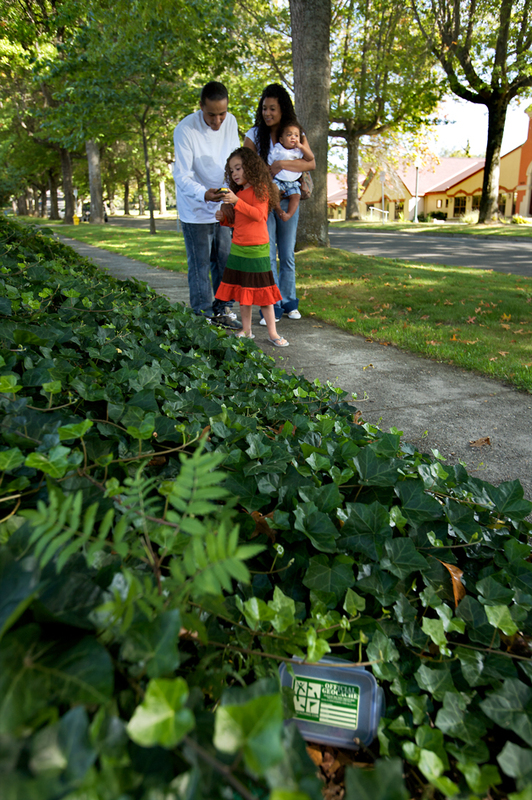 To find them, use geocaching.com to search for the nearest geocaches to your town (based on zip codes). You’ll then use a GPS-enabled device to navigate to a specific set of GPS coordinates and attempt to find the geocache hidden at that location. It’s a family-friendly activity where you can have fun, explore, get some exercise, and work on skills such as problem solving, map reading and math. GET YOUR GEAR: REI in Folsom is a one-stop shop for all your geocaching needs.